There are several checks such as condition of reinforcement and formworks, accuracy in steel bar bending, joints and dowel bars, etc. 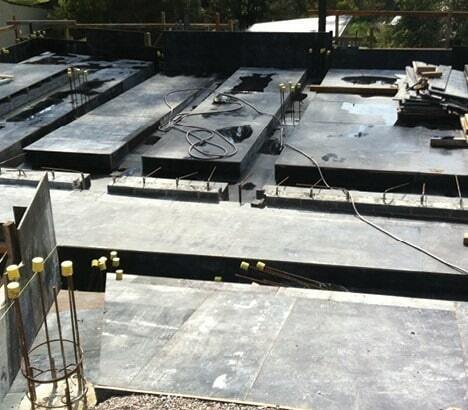 need to be carried out prior to the embedment of reinforcements into the formwork. 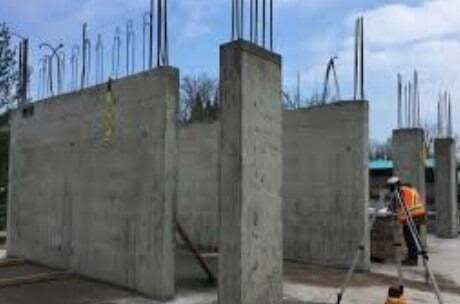 It is necessary to check the ability of formwork deck to support loads. The deck should carry loads that imposed due to reinforcement fixing operation. Formwork, scaffolding, falsework, and facade retention should be checked after the formwork installation is finished. If such checks are carried out after reinforcement fixing, not only does the work will be costly but also it causes delays in the construction. 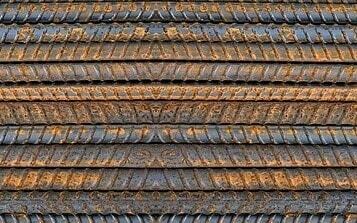 Steel bar with light surface rust is acceptable but it should not influence its cross section. 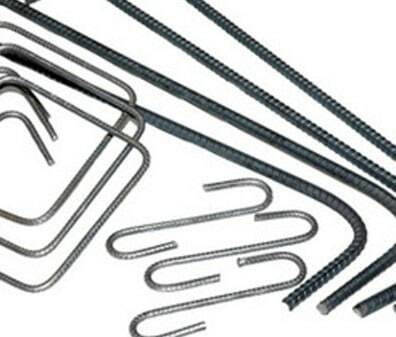 If bars suffered from flake or loose scale, then it should be cleared from these detrimental effects and diameter, cross section, bond, and shape of the steel bars should be checked. Steel bars that experienced scaling, pitting, and laminations during delivery must be returned to the provider. 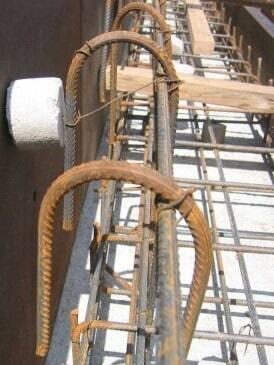 Steel coating that attack concrete or reduce reinforcement bond should be avoided. The designer should provide clear recommendations regarding elimination of bonds at certain location of structure such as at joints. Bar bending dimension and shapes should be executed as bending schedule and the desired shape that provided by applicable codes should be used. Bending of bars that directly influence concrete cover such as stirrups as shown in Figure 4 and Figure 5 needs greater attention. Normally bending tolerances are provided by codes such as ACI 315-99 and ACI 117M-10, and BS 8666. 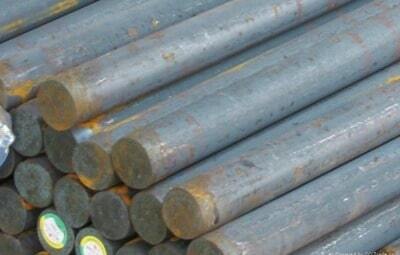 If steel bar size is greater than 16mm in diameter, then it is recommended to avoid steel adjustment using hand. 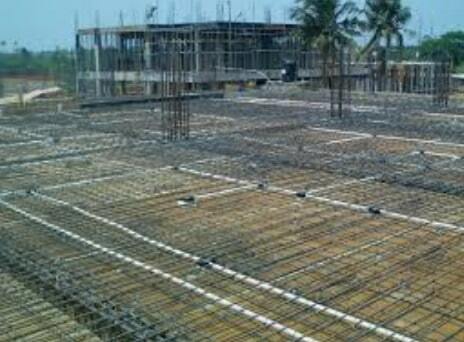 This is because not only will such effort be costly but also it leads to distort formworks. Lastly, checks should be conducted to guarantee that critical dimensions required to fix a bar precisely has not been left as run off in bending. It is required to ensure that all service requirements, openings, and inserts have taken into consideration. It must not be permitted to cut or move for installation of pipes and other objects unless confirmation of the designer is granted. Finally, it should be guaranteed that adequate reinforcement around openings on either side of the concrete element is placed. Dowel bars are commonly used for movement joints between elements adjacent to each other. It is required to make sure that dowel bars are placed parallel to each other and in the direction of movement to permits movements at the joint. Plain bars are desired to be used as dowel bars and it should be treated with debonding agents to facilitate movements. Construction and movement joints shall be specified on drawings and reinforcement detailing need to take this matter into consideration. If the location of these joints needed to be changed, the designer should be agreed upon such variations prior to fixing of reinforcement. Previous reinforcements include continuity and starter bars from previous lefts or sections of construction. The location of these reinforcements should be inspected to find out whether they are in a right location or not. The designer should be informed if the bars had been misplaced from the previous works. In this case, the designer needs to provide suitable solutions regarding this issue. It is necessary to check number of starter bars to make sure that required numbers have been installed. Added to that, the length of lab spliced should be checked as well. Finally, steel bars protruded from concrete shall be cleaned before fixing reinforcement.